Advertisers and media buyers target their commercials or messages to the listeners of a radio station. Radio stations in turn use one of about twenty distinct formats such as music, news, talk, and sports to attract listeners to their radio station. Radio stations use both the demographics and psychographics of their listening audience to attract advertiser and advertising revenues. Advertisers and radio stations need to know who are listening to their programs and commercials. Demographic traits of an individual include their age, gender, income, marital status, racial/ethnic background and other attributes of the individual. Psychographics are an individual’s personality traits such as their attitudes, beliefs, values, lifestyles, hobbies, political interests, passions, opinions and other motivating factors for listening to a particular radio station. Listener psychographics, also known as qualitative, values or lifestyle research, are studies used to determine a radio station’s listeners or what the listeners are really like. The station’s audience is segmented by various personality traits and their listening or viewing behavior. The individual rates himself on a number of different scales, such as active-passive, leader-follower, relaxed-tensed, romantic-practical, independent-dependent, and so forth. Lifestyle surveys put more emphasis on values that influence consumer behavior. Advertisers develop ad campaigns that are consistent with their target audiences based on VALS II. Psychographics Who Is Most Likely to Buy? “…In the field of marketing, demographics, opinion research, and social research in general, psychographic variables are any attributes relating to personality, values, attitudes, interests, or lifestyles. They are also called IAO variables (for Interests, Activities, and Opinions). They can be contrasted with demographic variables (such as age and gender), behavioral variables (such as usage rate or loyalty), and firmographic variables (such as industry, seniority and functional area). Psychographics should not be confused with demographics. For example, historical generations are defined by psychographic variables like attitudes, personality formation, and cultural touchstones. The traditional definition of the “Baby Boom Generation” has been the subject of much criticism[by whom?] because it is based on demographic variables where it should be based on psychographic variables. While all other generations are defined by psychographic variables, the Boomer definition is based on a demographic variable: the fertility rates of its members’ parents. When a relatively complete profile of a person or group’s psychographic make-up is constructed, this is called a “psychographic profile”. Psychographic profiles are used in market segmentation as well as in advertising. “…VALS (“Values, Attitudes and Lifestyles”) is a proprietary research methodology used for psychographic market segmentation. Market segmentation is designed to guide companies in tailoring their products and services to appeal to the people most likely to purchase them. Thinkers. These consumers are the high-resource group of those who are motivated by ideals. They are mature, responsible, well-educated professionals. Their leisure activities center on their homes, but they are well informed about what goes on in the world and are open to new ideas and social change. They have high incomes but are practical consumers and rational decision makers. Believers. These consumers are the low-resource group of those who are motivated by ideals. They are conservative and predictable consumers who favor American products and established brands. Their lives are centered on family, church, community, and the nation. They have modest incomes. Achievers. These consumers are the high-resource group of those who are motivated by achievement. They are successful work-oriented people who get their satisfaction from their jobs and families. They are politically conservative and respect authority and the status quo. They favor established products and services that show off their success to their peers. Strivers. These consumers are the low-resource group of those who are motivated by achievements. They have values very similar to achievers but have fewer economic, social, and psychological resources. Style is extremely important to them as they strive to emulate people they admire. Experiencers. These consumers are the high-resource group of those who are motivated by self-expression. They are the youngest of all the segments, with a median age of 25. They have a lot of energy, which they pour into physical exercise and social activities. They are avid consumers, spending heavily on clothing, fast-foods, music, and other youthful favorites, with particular emphasis on new products and services. Makers. These consumers are the low-resource group of those who are motivated by self-expression. They are practical people who value self-sufficiency. They are focused on the familiar-family, work, and physical recreation-and have little interest in the broader world. As consumers, they appreciate practical and functional products. Survivors. These consumers have the lowest incomes. They have too few resources to be included in any consumer self-orientation and are thus located below the rectangle. They are the oldest of all the segments, with a median age of 61. Within their limited means, they tend to be brand-loyal consumers. ^ Yankelovich, Daniel; David Meer (February 6, 2006). Harvard Business Review: 1-11. http://www.viewpointlearning.com/wp-content/uploads/2011/04/segmentation_0206.pdf. Retrieved 7 June 2011. ^ Beatty, Sharon E.; Pamela M. Homer, Lynn R. Kahle (1988). “PROBLEMS WITH VALS IN INTERNATIONAL MARKETING RESEARCH: AN EXAMPLE FROM AN APPLICATION OF THE EMPIRICAL MIRROR TECHNIQUE”. Advances in Consumer Research 15: 375-380. http://www.acrwebsite.org/volumes/display.asp?id=6655. Retrieved 7 June 2011. The global warming alarmists are fanatics that really think these public service announcements or propaganda are acceptable and humorous. While I have a sense of humor, I found the 10:10 video ad campaign tasteless, intentionally designed to scared children and adults, and a poor attempt to shut people up that disagree with the global warming alarmists. Corporate sponsors including SONY, are quickly distancing themselves from the videos and 10:10 campaign as complaints poured in. Rising global carbon dioxide emissions have indeed increased from 280 parts per million to over 390 parts per million over the last three hundred years. Carbon dioxide is a trace gas, required for life on the earth, and is not a pollutant or a primary driver of climate change. Did the rise in CO2 cause the modern increase in temperature? Is a warm climate good? CO2 Rising (series), Professor Tyler Volk: 1. Where in the world is the CO2 increasing? CO2 Rising (series), Professor Tyler Volk: 2. Does my exhaled CO2 go into a leaf I can hold? “…10:10 is a global warming mitigation campaign calling for a 10% reduction in carbon emissions in 2010. The project aims to demonstrate public support, apply pressure to policymakers to commit to national cuts, and inspire success at the United Nations climate change negotiations. As of June 2010, 75,000 individuals, businesses, schools and organisations have joined the campaign and pledged to reduce their emissions by 10% in a year. The campaign was founded as a British campaign in September 2009 by Franny Armstrong, director of The Age of Stupid, with the aim of capturing the public imagination using individual action in a way similar to the Make Poverty History campaign. In mid-2010 the campaign went global, with campaigns launching in around 12 countries. For more details on this topic, see No Pressure (film). On Friday 1 October 2010, 10:10 released a short film in which schoolchildren and office workers are summarily and gruesomely executed for not pledging a 10% reduction in their carbon emissions to participating employers and educators. Although originally planned to be shown in cinema and television advertisements, 10:10 removed the film from their website and YouTube later on the same day following negative publicity and apologised for “miss[ing] the mark”. “…In an official release on its corporate website, Sony said that it strongly “condemned the release by 10:10, the climate change campaign group, of a video entitled ’No Pressure’ that Sony considers to be ill-conceived and tasteless”. The move is a blow to the initiative, just five days before its centrepiece day of action on 10 October, dubbed ’10:10:10′. The campaign aim is to cut global carbon emissions by 10% each year from 2010. The company insisted that the promo was released entirely without its knowledge or involvement, and violated the “thoughtful and collaborative philosophy” that it had consistently supported. “…The recent 10:10 climate change campaign (founded by Age of Stupid director Franny Armstrong) has scored an own goal with a disastrous video ‘No Pressure’ created by Richard Curtis (of Blackadder fame) that features exploding school kids. The humour is puerile and may well appeal to a drunken 19 year old student but as a piece of communications it has got it very wrong. So wrong they have had to withdraw the video following thousands of complaints. The video (they call it an ad) features a series of patronising people – a teacher and a boss – asking everyone to sign up to 10:10 (you sign up to reduce your carbon emission by 10%). The script quotes “we cut our carbon emissions by 10%, thus keeping the planet safe for everyone,” which is factually rubbish, it’ll take a lot more than 10%. The teacher then asks the kids to volunteer to do something. All but two, Phillip and Tracy, raise their hands. The two who don’t get killed in a sick and disgusting way. She blows them up leaving the other kids covered in burnt flesh and blood. There are two other scenes featuring X-Files’ Gillian Anderson (she too gets blown up), together with Spurs players – including Peter Crouch, Ledley King and David Ginola. It will go down as the ultimate in poor and stupid judgment (a lesson to those who try and make their own ads). 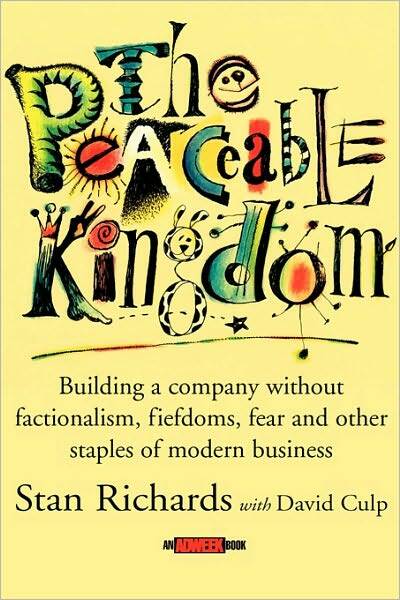 The green blog, An Englishman’s Castle, called it “an eco-terrorism film”. This is not only embarrassing for 10:10 but for their supporters, O2, Sony, Eada, National Magazines (Esquire, Cosmoplitan, Bazaar, Company), The Guardian and many other brands and organisations, not to mention many celebs. One critic has published the email address of Sony’s CEO, encouraging people to write direct. “…The 10:10 campaign was founded by Franny Armstrong, director of the climate change film The Age of Stupid. In the film an archivist in the devastated world of 2055, asks the question: “Why didn’t we stop climate change when we still had the chance?” He looks back on footage of real people around the world in the years leading up to 2015 before runaway climate change took place. London is now flooded, Sydney is burning, Las Vegas has been swallowed up by desert, the Amazon rain forest has burnt up, snow has vanished from the Alps and nuclear war has laid waste to India (not sure that’s anything to do with climate change but the politics of war). It’s doom and gloom with no positive message. The idea for 10:10 came to Franny while walking through Regent’s Park on her way to a debate with UK Climate & Energy Secretary Ed Miliband (now Labour leader and probably keeping as far away from this as possible). With her connections she managed to amass lots of celebrities and get lots of PR. Now’s she is getting all the wrong PR. “…350.org is an international environmental organization, headed by author Bill McKibben, with the goal of building a global grassroots movement to raise awareness of man-made climate change, to confront climate change denial, and to cut emissions of one of the greenhouse gases, carbon dioxide,  in order to slow the rate of global warming, the cause of current climate change. 350.org takes its name from the research of NASA scientist James E. Hansen, who posited in a 2007 paper that 350 parts-per-million (ppm) of CO2 in the atmosphere is a safe  upper limit to avoid a climate tipping point. The current record level is 392.04 ppm of CO2, an almost 40-percent increase from the pre-industrial revolution level of 278 ppm. In 1988 the Earth’s atmosphere surpassed the 350 ppm mark, while global CO2 emissions per capita rose. The group reports that they organised the world’s “most widespread day of political action” on Saturday October 24, 2009, reporting 5,245 actions in 181 countries. “…The organization was founded by author Bill McKibben, an American environmentalist and writer who frequently writes about global warming, alternative energy, and the need for more localised economies. McKibben promotes the organisation, for instance by writing articles about it for many major newspapers and media, such the Los Angeles Times and The Guardian. McKibben’s first started to organize against global warming with a walk across Vermont, his home state. His “Step It Up” campaign in 2007 involved 1,400 demonstrations at famous sites across the United States. McKibben credits these activities with making Hillary Clinton and Barack Obama change their energy policies during the presidential campaign. Later, the meltdown of the polar caps pushed him into starting 350.org, based on Hansen’s 2007 book Climate Code Red. Rajendra Pachauri, the U.N.’s “top climate scientist” and leader of the Intergovernmental Panel on Climate Change (IPCC) has come out in favor of reducing atmospheric concentrations of carbon dioxide to 350ppm. McKibben called news of Pachauri’s embrace of the 350ppm target “amazing”. Some media have indicated that Pachauri’s endorsement of the 350ppm target was a victory for 350.org’s activism. The organisation had a lift in prominence after founder McKibben appeared on The Colbert Report television show on Monday August 17, 2009. “…Franny Armstrong (born 3 February 1972) is a British documentary film director working for her own company, Spanner Films, and a former drummer with indie pop group The Band of Holy Joy. She is primarily known for three films: The Age of Stupid, about climate change, McLibel, about the infamous McDonald’s court case and Drowned Out, following the fight against the Narmada Dam Project. Her most recent project is the UK-wide campaign 10:10, which aims to cut 10% of the UK’s emissions during 2010, has received an unwelcome reception from the audience because of propaganda of violence against global warming skeptics. In November 2009, Armstrong was rescued by London mayor Boris Johnson from an assault by a gang of girls in north London. “…Armstrong’s first documentary, McLibel (1997, 2005), told the story of the McDonald’s libel trial, the longest-running court action in English history. Filmed over ten years with no commission, no budget and a voluntary crew – including Ken Loach, who directed the courtroom reconstructions – it shot to notoriety when lawyers prevented its broadcast, first at BBC1 and then at Channel 4 in 1997. Eight years later – after the ‘McLibel Two’ had defeated the British government at the European Court of Human Rights – it was finally broadcast on BBC2 at 10.30pm on a Sunday, to an estimated 1 million viewers. It was well received by critics, with Time Out crediting Armstrong with “gusto and wit” in telling a story that “will satisfy both head and heart”. It was then broadcast on TV in 15 countries – including Australia, Canada and the USA – and released on DVD worldwide. McLibel was released in cinemas and DVD stores in the USA in summer 2005 and this was followed in the UK in 2006. McLibel was nominated for numerous awards, including the Grierson Documentary Award and the British Independent Film Awards. It was recently picked for the British Film Institute’s prestigious series, “Ten Documentaries which Changed the World”. Armstrong’s second feature documentary, Drowned Out (2002), follows an Indian family who chose to stay at home and drown rather than make way for the Narmada Dam. It also sold around the world, was nominated for Best Documentary at the British Independent Film Awards 2004 and was released theatrically in America and DVD worldwide in 2006. Without backing from the UK TV industry, Armstrong’s films have been seen by more than 56 million people. She has been working full-time on The Age of Stupid (formerly known as Crude) since December 2004. It’s a film that warns of the catastrophic effects of climate change using a mix of factual documentary and post-apocalyptic fictional styles. It was released in the UK on March 13 2009 and had its green-carpet global premiere on September 21 2009. During the Copenhagen climate change conference in December 2009 it was broadcast on BBC4 in the UK and on TV in seven other countries. “We Can Reverse Climate Change”–President Barack Obama–Liar or Fool–Or Both–You Be The Judge! 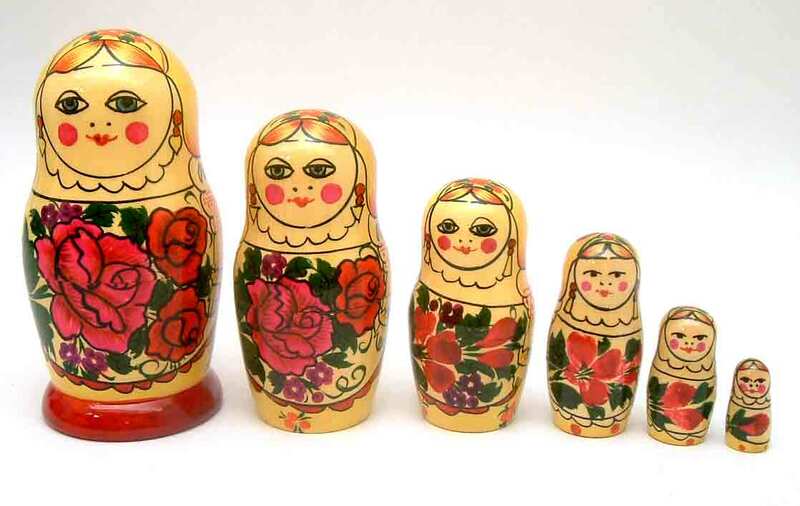 families, and the common good. people to institute a new governing agenda and set a different course. governed, and regarding the policies of the current government, the governed do not consent. laws and institutions and scorning the deepest beliefs of the American people. mandates, and enacts laws without accepting or requesting the input of the many. among our people and blurring our sense of national purpose. principles to solve our common problems for the common good. prohibited by it to the states, are reserved to the states respectively, or to the people. organizations that form the core of our American values.We pledge to honor families, traditional marriage, life, and the private and faith-based organizations that form the core of our American values. The biggest problem with “A Pledge To American” is its failure to address in a bold and creative way the economic problems facing the United States and its people. Does the Republican Pledge permanently close one or more Federal Departments? Does the Republican Pledge offer comprehensive tax reform such as the national sales consumption tax to replace the Federal Income Tax, payroll, estate and gift taxes? Does the Republican Pledge produce annual surplus budgets by limiting Federal Government spending to 80% of FairTax revenue? Does the Republican Pledge transform Social Security and Medicare to an individually controlled and owned investment retirement account and health insurance plan. Does the Republican Pledge address illegal immigration by demanding immigration law enforcement and the removal and deportation of illegal aliens? The plan was vetted by political consultants and lobbyists on K street who oppose all of the above as do the Republican establishment. The pledge is simply timid or more precisely the anti-Obama agenda. The pledge is neither bold nor inspiring with the exception of the opening preamble. Going back to 2008 in Federal spending levels and freezing Federal Government employee hiring is too little too late. Why would we want to go back to where we were just two years ago? Now if you want to go back to 1928 Federal spending levels under President Calvin Coolidge that would be ambitious. A return to the Republican establishment status quo in 2008 is playing defense. Both the economic policies and government intervention of Bush and Obama are responsible for the Great Recession. This reminds me of the economic policies and government intervention of Hoover and Roosevelt in the 1930s that led to the Great Depression. Independents and tea party patriots will not be impressed. Yes, the Pledge is better than the agenda of progressive radical socialists Democratic Party led by Barack Obama. This is a a very low bar or standard to exceed. Time for a new third political party with the tea party patriots as its core base with independents and the young as its growth opportunity. Glenn Beck nailed it, the Pledge tells you what you want to hear, but does not tell you the truth and what you need to hear. Ron Paul is also right, a GOP victory in 2010 would bring no change. It would take several election cycles before the mess in Washington is cleaned up. “…The Pledge places job creation front and center, promising to stop all tax hikes scheduled to take effect on January 1, 2011 — not just those singled out by the Obama administration. The plan would also give small businesses the ability to deduct 20 percent of income from tax returns and, in an effort to tame productivity-stifling overregulation, would require congressional approval for any new administration rules that would impact the economy by $100 million or more. Turning its attention to spending and the size of government, the Pledge proposes to immediately end TARP, cancel unspent stimulus dollars, and “roll back government spending to pre-stimulus, pre-bailout levels,” a move estimated to save $116 billion in the first year alone. It promises to end the government’s involvement in the revenue-sapping GSEs Fannie Mae and Freddie Mac while shrinking their portfolios and establishing new capital standards. To rein in the size of government, the document proposes a hiring freeze on non-security personnel, and calls for any new federal program to come with a “sunset” clause that would place the onus on legislators to routinely reassess its merits and justify new funding. But the plan does not set specific spending targets, promising only to “significantly” reduce Congress’s next budget and place a “hard cap” on the growth of future discretionary spending. News Journal: Number 09, August 9, 2010: President Obama’s Big Arrogant Despicable (BAD) Lie On Immigration and Enforcement Of Immigration Laws–Back Door Amnesty For Illegal Aliens!–Aiding, Abetting and Promoting Crime In America–Obama Visits Two Sanctuary Cities–Austin and Dallas Texas! In 1986, President Ronald Reagan signed into law the Immigration Reform and Control Act. The bill granted amnesty to about 3 million illegal aliens, mostly from Mexico. Here comes Backdoor Amnesty ,To Bypass Congress , Gibbs Lied !!! Amnesty Plan in the Works? While nobody knows the exact number of illegal immigrants in the United States, past estimates have ranged from a low of 10 million to over 30 million illegal aliens living and working in the United States. The United States population in 2010 is about 310 million including illegal immigrants. Thus illegal immigrants represents between a minimum of 3.3% to over 10% of the United States population. However, illegal immigrants tend to live and work in and around so-called sanctuary cities. Sanctuary cities do not permit their police departments and other municipal employees to enforce Federal immigration laws by asking illegal immigrants any questions regarding their immigration status. The two major sources of illegal aliens in the United States are those who entered the United States legally with a visa and then over stayed their visas and those crossing into the United States from Mexico, primarily Mexicans and those from other Latin American countries. For the last twenty years the United States has been invaded by millions of illegal aliens crossing from Mexico into the United States illegally. Thousands are entering the United States each day by crossing from Mexico. The Mexican government is actually encouraging their citizens to go to United States and work. If this is not an invasion, then what is? The Federal Government under both Republican and Democratic administrations have simply refused to vigorously enforce existing Federal immigration laws for political reasons. Both Presidents Bush and Obama have failed to honor their oath of office and enforce existing immigration laws. The Republican Party wants the financial campaign contributions from businesses that benefit from hiring illegal immigrants. The Democratic Party also wants the financial campaign contributions from these businesses as well as unions but also the votes of illegal immigrants once a “pathway to citizenship” or amnesty for illegal aliens is passed into law. Both political parties and the ruling political elites are ignoring the will and sovereignty of the American people who want Federal immigration law enforcement. The American people want the removal from the workplace of all illegal aliens and their deportation to their country origin. There are currently over 30 million American citizens looking for full-time employment in the United States. This is more than twice the 13 million Americans who were looking for work during the worse months of the Great Depression. There are currently between 10 million and 15 million illegal aliens working in the United States. Again, nobody knows the exact number. If the current immigration laws were vigorously enforced and the illegal aliens deported, many of these 10 million to 15 million jobs would require the hiring of currently unemployed American citizens by employers. President Obama, knowing he is acting like a demigod,would rather accuse those who are insisting that the Federal government enforce immigration laws–as being demigods themselves. Americans favor controlled limited legal immigration. Americans oppose uncontrolled unlimited illegal immigration. The distinction between legal and illegal immigration is one that President Obama never mentions. The reason is quite clear, President Obama wants all immigrants, legal and illegal to become United States citizens. Americans are for the rule of law and the enforcement of the law. The President knows this and so do the American people. The President completely misrepresents what is actually occurring by not making the critical and important distinction between legal and illegal immigration. The American people oppose illegal immigration by margins of 3 and 4 to 1. A big arrogant despicable lie by a President of the United States is broadcast to millions of Americans. This is done while his own Administration plots to undermine consensual representative government in the United States by seriously considering an executive order to grant amnesty to million of illegal aliens. The President knows that local, city, county or state government and their police forces cannot deport any one that is arrested or detained. Instead the detainees must be turned over to the Federal government for deportation. This leaves a record of how many were turned over to the Federal government and how many were eventually deported. This is a record that the Federal government apparently does not want to create and report to the American people. Instead, Obama’s Department of Justice challenges any and every state that seriously enforces Federal immigration laws. Hence the challenge to Arizona’s new law pertaining to immigration law enforcement which mirrors the Federal government’s immigration laws. The American people only want the enforcement of immigration laws by the Federal government. The Federal government under both Presidents Bush and Obama simply would not vigorously enforce these laws for essentially political reasons. Instead both Presidents wanted comprehensive immigration reform which at its core is simply amnesty for illegal immigrants. Both Presidents are substituting the rule of the few for the rule of law. The American people will not let this tyranny of the ruling elites in Washington D.C. stand. First the Republicans were turned out in 2006 and 2008 and this November and in 2012 the Democrats will be turned out of office. President Obama uses strawman arguments and projection to accuse others of what President Obama is actually doing, refusing to vigorously enforce immigration laws and refusing to deport millions of illegal aliens. The American people want results not a summary of how many resources the President has sent to the American/Mexican borders. The American people are not so easily fooled or intimidated. When Mexican drug dealers put a bounty on an Arizona sheriff for enforcing immigration laws, one begins to wonder why are these drug dealers are on the same side of the argument as President Obama and not the American people. Whose side is Barack Obama on anyway? The American people or the criminals? Americans are beginning to wonder out loud. Illegal immigrants are not undocumented immigrants–they are illegal aliens or more precisely criminal aliens. They are criminal aliens who have broken several U.S. laws. First, illegal aliens enter the United States illegally–crime number 1. Second, they purchase fraudulent identification documents that they use to obtain employment–crime number 2. Third, they work for businesses or organizations in the United States–crime number 3. Fourth, the businesses and organizations who employ them are aiding and abetting criminal activity–crime number 4. Criminal aliens should be arrested, tried and if found guilty, deported to their country of origin. The majority of the American people simply want the illegal aliens to go home on their own accord–self-deport. The roads in America run in both directions. If you are here illegally, please just leave. The majority of the American people want enforcement of existing immigration laws. The majority of the American people oppose amnesty for illegal aliens and a “pathway to citizenship”–you do not reward criminals, you punish them. The majority of the American people oppose sanctuary cities. Sanctuary cities are those who refuse to allow their own police to enforce Federal immigration laws which the cities are required to do by Federal law. 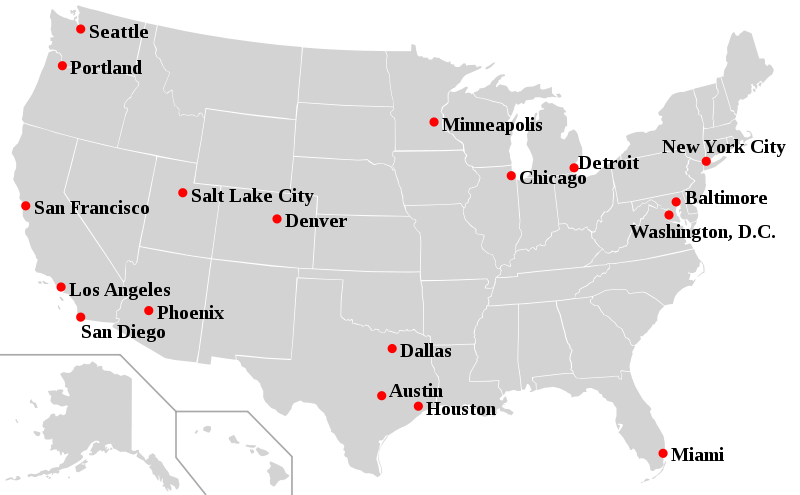 Sanctuary cities include Washington, D.C., Chicago, Boston, New York City, Philadelphia, Miami, Los Angeles, San Francisco, Denver, Houston and Dallas to name just a few. These are cities who refuse to enforce Federal immigration laws and are therefore aiding and abetting criminal activity! Every day millions of American citizens are unemployed, while millions of criminal aliens are working for employers who benefit from the hiring of illegal aliens. For example I am writing this post in the sanctuary city of Dallas. I attended a local community college who in the last ten years constructed two new buildings on its campus. These buildings were constructed largely by illegal aliens or criminal aliens from Mexico who worked for considerably less money than American construction workers. Today, these two new buildings and the remaining buildings on campus are cleaned by a janitorial staff consisting mainly of illegal aliens–Mexicans. The campus police were and are well aware that these workers were and are illegal aliens but did absolutely nothing about it. Dallas is a sanctuary city or more accurately a criminal city that actively discourages its police officers from enforcing Federal immigration laws by asking any questions about immigration status. This same situation is repeated in hundreds of towns and cities across the United States daily. Both Presidents George Bush and Barack Obama broke their oaths of office by refusing to vigorously enforce current immigration laws. Both were corrupted by power and arrogantly thought that they knew best what was good for the American people. Instead both Presidents sought comprehensive immigration reform, a code word for amnesty for illegal immigration, despite the opposition of the majority of the American people to illegal immigration and amnesty for illegal immigrants. Take the preceding example of the community college. American citizens should have been hired to construct the two buildings and to clean them once they were built. These are jobs Americans have done in the past and today still do despite the repeated lies of the American ruling class that these are jobs that Americans will not do–give me a break. Yes the ruling political elites may not do a job that an illegal alien does, but believe it or not there are millions of hard-working Americans who have in the past and will today do them to earn a living instead of becoming dependent upon the Government for handouts and welfare. Multiple this by the millions of jobs across the United States over many years and you begin to see the problem. The ruling political elites of both political parties simply do not give a damn that the American people are demanding–enforcement of existing immigration laws. HISPANIC AMERICANS STAND AGAINST ILLEGAL ALIENS !!! The ruling political elites only care about power and staying in office. Vote these professional politicians of both parties out of power. Start by voting out of office those in your city, county, school, college, and state government that are aiding and abetting criminal aliens by employing them. If they are for comprehensive immigration reform or amnesty and open borders, just vote them out of office. The job you save just might be your own. Sanctuary Cities Getting Free Pass? A new Rasmussen Reports national telephone survey finds that just 30% say the federal government should not take legal action against cities that offer illegal immigrants various forms of sanctuary. Fifteen percent (15%) more are not sure. Today, President Obama is in Dallas and Austin Texas, two of the many sanctuary cities that refuse to enforce Federal immigration laws. Has the Department of Justice ever sued any of the so-called sanctuary cities for their failure to enforce the law–no they have not! Sanctuary Cities – Has the government ever sued them? Obama Takes Sides With Illegal Alien Invaders AGAINST Americans! “…The idea for the following analysis is based upon the article titled Could There Be Twenty Million Illegals In The U.S.?”, by D.A. King, THE AMERICAN RESISTANCE FOUNDATION, published on VDARE, August 7, 2004.20 The purpose of this analysis is to present illegal immigration numbers that are more realistic than numbers being presented by the federal government – the very entity responsible for the tidal wave of illegal aliens entering our nation. This analysis demonstrates that the December, 2003 Department of Homeland Security estimates of 8 million to 12 million illegal aliens in the United States and 700,000 new illegals entering and staying per year represent significant undercounts. This analysis shows that it is reasonable to state that at least 20 million illegal aliens reside in the United States and that up to 12,000 illegal aliens enter the United States every day, or, as Arizona Senator John McCain reports – more than 4 million per year. This analysis also demonstrates that the proposed White House “guest worker” amnesty proposal of January, 2004 resulted in at least a 25 percent increase in the number of illegal aliens entering into the United States. “…In their letter to the president, Hatch and the other senators wrote that the Obama administration’s immigration policy should not be misused to usurp Congress’ authority. “While deferred action and parole are Executive Branch authorities, they should not be used to circumvent Congress’ constitutional authority to legislate immigration policy, particularly as it relates to the illegal population in the United States,” the senators wrote. Sens. Chuck Grassley, R-Iowa; Saxby Chambliss, R-Ga.; David Vitter, R-La. ; Jim Bunning, R-Ky.; James Inhofe, R-Okla.; Thad Cochran, R-Miss. ; and Johnny Isakson, R-Ga., also signed the letter to the president. “…The memo sheds light on why the Justice Department finds Arizona’s immigration law so odious. The law, popularly passed by the state Legislature and signed into law by the governor, is an effort to address the flow of illegal immigrants into the state by allowing Arizona police officers to detain illegal immigrants. But the police are not empowered to deport the illegals — instead, the detainees are referred to the federal government. This would create a record of the illegal immigrants the administration refuses to deport, making transparent the White House’s efforts to undermine current immigration law. The memo is clear on this point: The federal government can use “deferred action” at its discretion in halting a deportation indefinitely (usually for a humanitarian reason). “This would permit individuals for whom relief may become available in the future to live and work in the U.S. without fear of removal.” But to do so would require justification and a paper trail, two things the administration has worked hard to avoid. The memo reveals as much: “While it is theoretically possible to grant deferred action to an unrestricted number of unlawfully present individuals, doing so would likely be controversial, not to mention expensive.” It’s controversial because it would attract attention, unlike other stealth measures proposed in the memo that could be implemented without alerting the public — such as expanding the definition of “extreme hardship,” which would enable virtually any illegal immigrant to qualify for an exemption from deportation. There is one bright side to this scandal. If politicians continue to ignore the democratic process and the voters, the voters will use the democratic process to have their say in November. “…Arizona Governor Jan Brewer last week signed a new law into effect that authorizes local police to stop and verify the immigration status of anyone they suspect of being an illegal immigrant. A new Rasmussen Reports telephone survey finds that 60% of voters nationwide favor such a law, while 31% are opposed. On Saturday I was shopping at one of my favorite shoe stores- Payless. Imagine my excitement when I see that one of their brands (Champion, to be exact) has made an alternative version of Sketchers Shape-Ups and Reebok Easy Tones (google these if you do not know what they are). A pair of the Sketchers are roughly $80-110 white the Reeboks range about $120 a pair. The Champion version- which look the very same and “supposedly” do the same thing- were only $29 (I actually paid $26 because I had a coupon). It is no secret that generic brands are cheaper than Name Brands. Safeway “Honey-O’s” are nearly $1 cheaper than Cheerios. -Advertising/ Marketing costs and budgets for large companies such as Kraft and General Mills are higher than for “Always Save,” etc… In some cases, the consumer pays more for the marketing and packaging of a product than for the product itself. -Brand Loyalty. If I will only eat Cheerio’s, then by gosh I will spend that extra buck to eat Cheerio’s – which is actually a complete lie for me- I am cheap. But there are some products of which I will only buy the name brand. For example, Soda- I will only buy and drink Diet Dr. Pepper. No Wal-Mart brand tastes the same. So, for this discussion board, I want you to talk about products to which you are loyal, and ones where generic brands will do. Talk to your family, you spouse, your friends. What products are the picky about? This board is Due no later than Wednesday, July 21 at 5 p.m.
For shaving cream I buy Barbasol. For diet soda I buy Big K at Kroger because it is cheaper than Coke. For peanut butter and bread I buy Kroger’s cheapest. Kroger has a value brand category that is the cheapest. For breakfast cereal I buy the Kroger brand for corn flakes and fruity rice crisps. For batteries I buy Ravovac because they are the cheapest. I usually do not buy a national brand because they are usually the most expensive and you can invariably find a product of equal or greater quality and much lower price. Compare Kroger prices with those of the national brands and you will see what I mean. You can get a box of saltine crackers for less than $1 or pay nearly $2 for a national brand name. I buy the Kroger discount value brand for this as well. I just noticed this new discussion topic after I posted the one due at 5. Hello. I am Raymond Pronk and have lived in Fort Worth from 1978 to 1983 and in Dallas from 1983 to the present. My interests include reading, writing, making videos and blogging. I took this course to learn more about advertising since it is the primary revenue source for both commercial radio and television broadcasting and a major source of revenue for internet web sites. My goal is to have my own talk radio show on current events, business, economics and politics. I have already completed two associate degrees from Richland College in business application programming and web design. I have earned several other degrees including a Bachelor of Science in Economics from New York University, a Master of Arts in Economics from the University of California, Berkeley, a Master of Business Administration from Wright State University and a Master of Professional Accounting from the University of Texas at Arlington. I am currently searching for a new career position with a leading radio/television talk show or with a leading ad agency as a researcher/writer. White farmers at the center of Shirley Sherrod controversy: ‘No way in the world’ she is a racist. Black USDA Official Caught Making Racist Remarks About White Farmers !!! What is your response to this incident? This is a “safe space” to discuss. In return, I request your responses not be in “attack mode” towards anyone else. If you worked on the Ag Secretary’s team, how would you respond to this situation? GOOD SUGGESTION RAYMOND!! ALSO_thanks for the research! When an employee is accused of racisim, it is always good policy to first check that the complete context and all of the facts of the situation are detailed in a written report and the written report be fully coordinated with all appropriate departments including human resources and legal. The person accused of racism should always be given an opportunity to explain their side of the situation. Had this be done, none of the bad publicity from this case would have taken place for clearly Sherrod should not have been asked to resign. Once the mistake had been made of asking for her resignation, the Secretary of Agriculture, finally did the right thing and made a public apology and an offer to rehire her. The Secretary of Agriculture and The President Of The United States were poorly served by the staff members who initiated this firing or forced resignation. Panicing and jumping to conclusions only leads to more problems. One should not respond to blog posts, videos on YouTube or television commentary without first being sure of the facts in the case. Glenn Beck was right, context is very important. Andrew Breitbart should have waited until he got the complete tape from his source. I suspect he was being set up when his source only gave him part of the video. Brietbart should have suspected this and held the video until his source provided him with the complete video. Apparently the NAACP had the complete video. For this assignment, you will find one person who works in advertising and interview them. Find out their background, why they chose advertising, what they studied in college, and a full job description. You will write a 1,200-word report on this person from the information you have gathered. Be sure to include in your report their name and where this person works. This assignment is due Thursday, August 12 at NOON! I WILL NOT ACCEPT ANY LATE ASSIGNMENTS PAST noon on Thursday, August 12. I will be turning in grades on Friday at 8 a.m. and will not be able to change your grade after that. ~David Ogilvy, Ogilvy On Advertising, page 46. 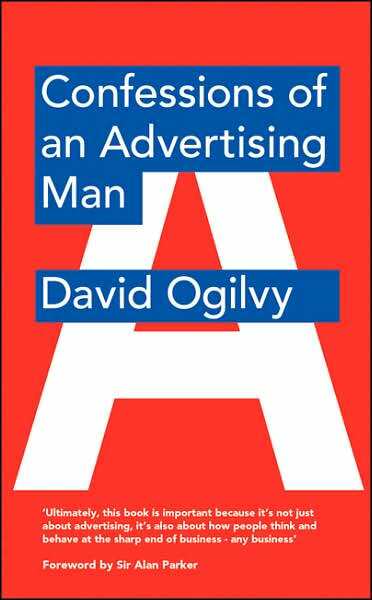 While in the past I have never considered a career in advertising, I recently read the late David Ogilvy’s books, Confessions of An Advertising Man and Ogilvy On Advertising to learn more about career opportunities in advertising and advertising agencies. I highly recommend reading both books for any one interested in a career in advertising or mass communications and for business owners and executives interested in growing their businesses. 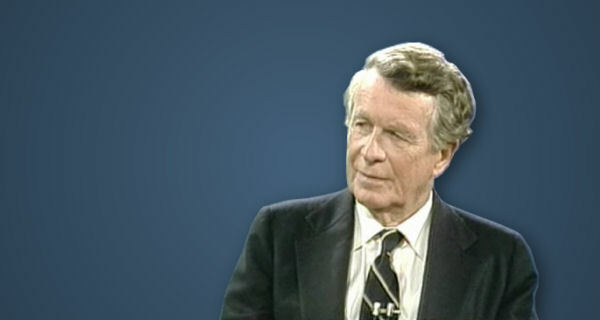 David Ogilvy started his own advertising agency in 1948. Today Ogilvy & Mather is one of the top ten marketing communication firms worldwide and employs over 15,000 people in 450 offices around the world with a tradition for training and developing their talent. Ogilvy & Mather is part of the WPP family of companies. You can join a television network, a radio station, a magazine or a newspaper and sell time or space to advertisers and their agencies. You can join a retailer like Sears Roebeck, and work as a copywriter, art director or advertising manager. You can join a manufacturing company like Procter & Gamble, and work as a brand manager. You can join an advertising agency. Source: Ogilvy On Advertising, page 31. Since I live in Dallas, Texas I would also be interested in working for a local Dallas advertising agency such as the Richards Group http://www.richards.com/index.html# or the local Dallas office of ReachLocal http://reachlocal33-px.rtrk.com/ . Actual job or position descriptions from the Ogilvy & Mather web site are provided at the end of this essay. With over twenty years of experience in the financial services industry, sales, and running my own firm, the positions that most interested me are account executive, copywriter, researcher/analyst and program director. An account executive or in earlier times the contact man is responsible for representing the agency to the client and getting the best possible work from the various agency departments for the client. A copywriter is responsible for writing interesting prose for print media and dialogue for broadcast media ( television and radio). Media director is responsible for all aspects of client’s media services. A researcher/analyst conducts surveys, writes reports and provides answer to questions. Market research is information on the market, competition, prospects, distribution and pricing. Advertising research is information directly related to an advertising campaign including the development, pretesting, and evaluation of the actual advertising campaign or materials. A program director is responsible for assembling and managing teams to deliver work. Since I do not know anybody that works in an advertising agency to interview, I decided to first interview Marshall Siegel, the Advertising Advisor for Richland College, School of Human & Academic Development, who has over thirty-seven experience in advertising with a trade magazine publisher where he had numerous positions in all departments except media. Marshall Siegel is a graduate of the University of Missouri, School of Journalism. After college, his first job was with the Chicago Tribune, formerly self-styled as the “World’s Greatest Newspaper” (for which WGN radio and television is named). When the Korean War broke out, he was called up by the U.S. Army and served in Korea as a private first class. Siegel subsequently joined the Army Reserves and retired years latter as a Major. After completing his active duty military service, he returned to the Chicago Tribune. At the time he was paid only $35 per week and decided for financial reasons to take a higher paying position selling advertising space for a firm that publishes trade magazines. After thirty-seven years with the trade magazine publishing company, the company was sold to a British firm for forty million dollars in cash. Siegal retired soon thereafter when the British firm wanted one of their executives to manage the company. Siegel now assists students at Richland College as an advertising and writing coach and as Advertising Advisor to Richland College. When advertisers want to post their ads on the Richland College campus, he is the person you go to get your ad approved and stamped. Place you ads only on cement walls and be sure to take them down after two weeks! He loves owning and driving Porsches and carries photos of his “babies” in his wallet. Siegel recommended that with my financial services and sales background I approach an advertising agency about selling advertising of financial publications to prospects and clients of the advertising agency. 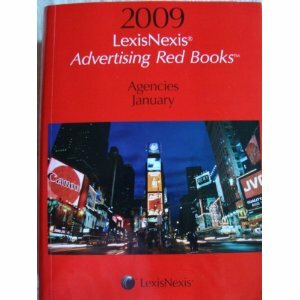 He suggested I go to the main library in Plano or Dallas and look up the names of the agencies that I was interested in working for in the Advertising Red Books to determine who the advertising agency’s clients were. WPP acquired SDRS in 2009. Siegel also recommended that I send a letter or e-mail to the founder or head of the advertising agency expressing by interest in working for his agency. Siegel suggested that I talked to the new editor and chief of the Richland Chronicle for they need to hire someone to do their website http://www.richlandchronicle.com/#5 , which I did. The one agency in Dallas that most impresses me is the Richards Group founded by Stan Richards. I still remember participating in a focus group one evening for The Richards Group. A group of individuals in the financial services were there to review the advertising and marketing materials for a financial services client of The Richards Group. Another firm that interests me is ReachLocal that is relatively new and has just opened an office in Dallas. ReachLocal has a unique system that gets prospects for advertisers. Begins to develop people management skills by coaching and developing their reports and by demonstrating an ability to effectively delegate both up and down. Develops an understanding of the motivations/behaviour patterns of consumers in the marketplace by attending focus groups/ quantitative debriefs, store visits etc. Keeps Client involved in the development process to build their confidence and enable them to buy braver ideas. 1. Sound on strategy, dull on execution. 2.Good managers who don’t make waves…and don’t produce brilliant campaigns either. 4. The genius who is a lousy leader. who combine personal genius with inspiring leadership. We have an opening for one of these rare birds in one of our offices overseas. David Ogilvy, Touffou, 86300 Bonnes, France. 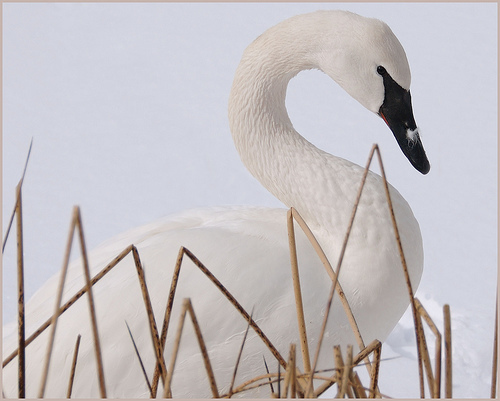 A Trumpeter Swan looking for a new career opportunity with an advertising agency. After working as a chef, researcher, and farmer, Ogilvy started his agency with the backing of Mather and Crowther, the London agency being run by his elder brother, Francis, which later acquired another London agency, S. H. Benson. The new agency in New York was called Ogilvy, Benson, and Mather. David Ogilvy had just $6,000 in his account when he started the agency. He writes in Confessions of an Advertising Man that initially, he struggled to get clients. Ogilvy also admitted (referring to the pioneer of British advertising Bobby Bevan, the chairman of Benson) “I was in awe of him but Bevan never took notice of me!” They would meet later, however. 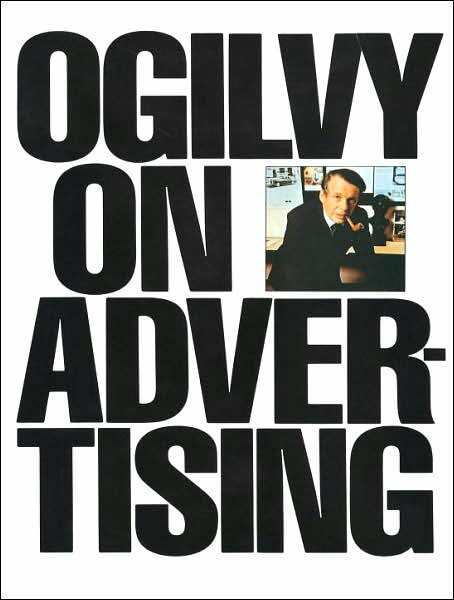 Ogilvy & Mather was built on David Ogilvy’s principles, in particular, that the function of advertising is to sell and that successful advertising for any product is based on information about its consumer. “The man in the Hathaway shirt” with his aristocratic eye patch which used Baron George Wrangell as model; “The man from Schweppes is here” introduced Commander Edward Whitehead, the elegant bearded Brit, bringing Schweppes (and “Schweppervesence”) to the U.S.; a famous headline in the automobile business, “At 60 miles an hour the loudest noise in this new Rolls-Royce comes from the electric clock”; “Pablo Casals is coming home – to Puerto Rico”, a campaign which Ogilvy said helped change the image of a country, and was his proudest achievement. One of his greatest successes was “Only Dove is one-quarter moisturizing cream”. This campaign helped Dove become the top selling soap in the U.S.
Ogilvy believed that the best way to get new clients was to do notable work for his existing clients. Success in his early campaigns helped Ogilvy get big clients such as Rolls-Royce and Shell. New clients followed and Ogilvy’s company grew quickly. 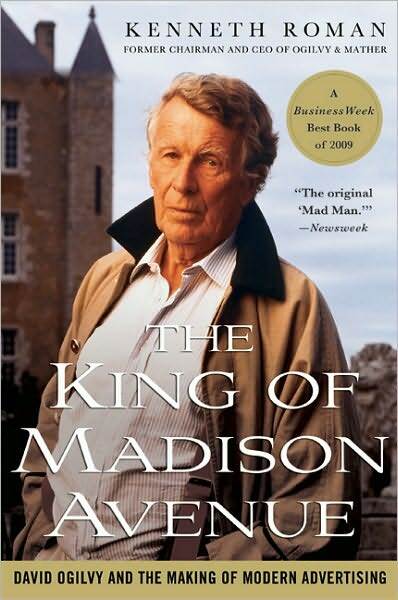 In 1973 Ogilvy retired as Chairman of Ogilvy & Mather and moved to Touffou, his estate in France. While no longer involved in the agency’s day-to-day operations, he stayed in touch with the company. His correspondence so dramatically increased the volume of mail handled in the nearby town of Bonnes that the post office was reclassified at a higher status and the postmaster’s salary raised. “…This affects the direct marketing industry because SRDS provides a research system that is used for making mailing list purchasing decisions and formulating media plans. List managers use SRDS to promote their lists. List brokers and mailers use SRDS to make list selections. WPP Group is a huge advertising agency holding company with an estimated 100,000 employees and £6.18 billion revenue in 2007. A big part of WPP’s revenue is commissions from media purchases done by their stable of advertising agencies. It’s a good strategy for WPP to buy SRDS because it will give them better insight into media purchases that happen outside of WPP. They can use SRDS’ database to better calculate their market share and to develop laser-focused strategies to acquire the share they don’t already own. If I were a list broker, I’d be really nervous about this. After all, list brokers compete with WPP agencies for their commissions (i.e. their livelihood). If WPP owns their list research system, it would provide WPP with powerful insights that enable them to steal the business away from list brokers and move those commissions to WPP agencies. “…The Richards Group is an American advertising agency. It is the largest independently owned agency in the country. Based in Dallas, Texas, The Richards Group reports annual billings approaching $1.25 billion. Memorable work includes the iconic Chick-fil-A Cows (“Eat Mor Chikin”), the Motel 6 campaign featuring Tom Bodett, and the dialogue-free Corona Beer TV commercials set on tropical beaches. Major clients include Baby Magic, Fruit of the Loom, Home Depot, Sub-Zero/Wolf, and Zales. The agency handles advertising, public relations, and promotions for dozens of clients nationwide, in addition to sports/entertainment marketing for colleges and universities. In the 3rd quarter of 2009, PODS signed The Richards Group as their creative agency. “…In 1994, IBM stunned the marketing world by consolidating its $500 million advertising account, parceled among 40 agencies, into just one. It was the largest account switch ever and at its center was Shelley Lazarus, then the president and COO of WPP Group’s Ogilvy & Mather Worldwide. Named chief executive last fall, on April 30 Lazarus inherited the chairman’s baton from Charlotte Beers, the 61-year-old dynamic Texan who became the first female chief executive in O&M’s history in 1992. Heading the $7.6 billion agency that legendary adman David Ogilvy founded in 1948, whose clients include Duracell, Ford, Kimberly Clark, Shell Oil, Jaguar, Sears Roebuck, Eastman Kodak, and American Express, makes Lazarus the most powerful woman in advertising – not bad for someone who couldn’t find work 25 years ago.